Singapore Athletics would like to invite coaches to apply for the upcoming following coaching course to be held in the States. Coaches please submit your application and resume to SAA latest by 15 Sep 2015. 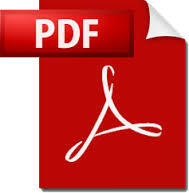 You can download this page in pdf here. Certification: Upon completion of the USATF/IAAF Academy coaches will receive an IAAF Level V diploma and USATF Level 3 certification. Applications: Candidates will be notified of their status within ten (10) business days of receiving the application by USATF. The IAAF/USATF Academy course is designed to be a small classroom environment (maximum enrollment of 30 qualified coaches) with limited enrollment. Lesson: The school is a six day intensive classroom and laboratory setting. The IAAF Academy contains 55 hours of contact time in classroom lectures, laboratory practicum, and demonstrations. Three individual projects are required by each student for completion of course. The course projects are valued at 100 points, and the student must receive a grade of 70 points to pass the course. A complete daily schedule will be provided online by October 1, 2015. The Academy will open Sunday, December 6, 2015, with registration from 3-4 pm. The opening session will begin at 4:30pm. The Academy will end on Saturday, December 12, 2015 by 12 noon. All checkout must be completed by 1:00pm. 19 Aug – Course posted & application opens. 15 Sep – Deadline to submit your application. 30 Sep – Announcement of coaches selected by SA nominated for the course (Enrollment pending USATF). December 6-12 – Course period. Transportation: Transportation to the Academy is the responsibility of the participants. Participants flying into Sarasota may schedule take local taxi for 15 minute ride to the IMG Academy. If arriving at the Tampa international airport, rental car or shuttle will be available for approximately a 45 minute ride to the IMG Academy. Free parking is available at the IMG Academy for participants who have cars. Check in is Sunday, December 6; by 4:00 pm, and check out is Saturday, December 12 by 12noon. Participants are required to stay on campus as IMG Academy does not allow commuters. 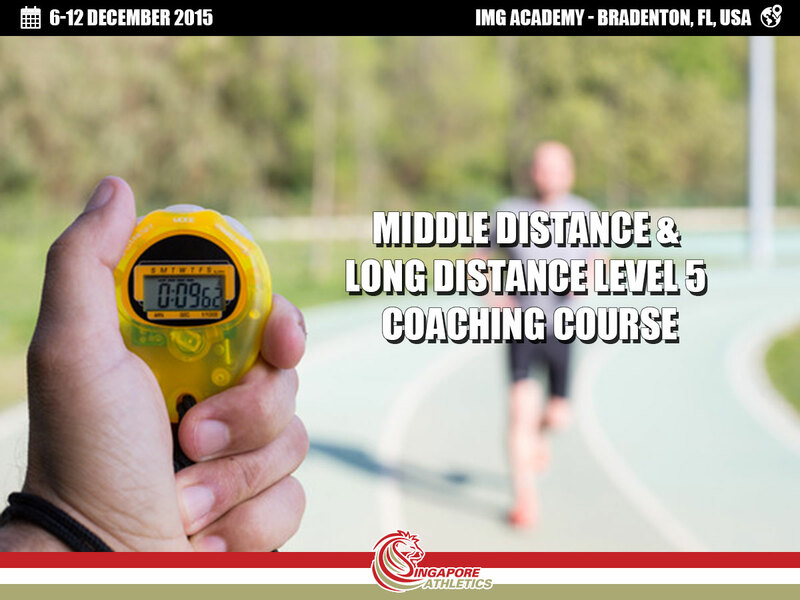 International coaches must have successfully completed the IAAF Coaches Education and Certification System (CECS) Level IV in Endurance. International coaches also must secure an endorsement from Singapore Athletics, and have letters of recommendation from SA and the IAAF RDC submitted with application. Coaches should have coached athletes at a championship level. Coaches must be working with athletes over the age of 16 to be able to complete the assigned projects. All coaches must be actively coaching track & field and have a proven record of a minimum of 8 years of coaching experience which must be detailed on their resume. Coaching during an athlete’s formal undergraduate education does not count towards their years in the profession.